Of all Shakespeare’s plays, Hamlet has attracted the most Chinese translators, with no fewer than twelve different translations into Mandarin1 having been published since 1922. The earliest of these marked the first time a complete Shakespeare play had ever appeared in Chinese. Before then, the only version of Shakespeare available to Chinese-speakers had been in the form of loose translations––and subsequent stage adaptations––based on Charles and Mary Lamb’s Tales from Shakespeare. In Shashibiya: Staging Shakespeare in China, I offer readers a diagram (Li Ruru, 2003, 116) illustrating that when foreign plays are introduced to China the translators, adapters, scholars and theater practitioners all bring their own personal and societal history as well as a shared cultural legacy into the composition of the works that are performed on stage. I contend that Shakespeare in China is as much a story about China as about Shakespeare. This experience is evident in the translation, interpretation and performance of Hamlet, the history of which not only highlights the influence of the politically sanctioned literary theory on the Chinese understanding of this great tragedy, but also reflects the complex responses of Chinese people towards a century of radical changes in their society and culture. The first full-length translation of Hamlet into Chinese was by Tian Han (pen name of Tian Shouchang, 1898-1968) while he was a student in Tokyo on a pre-session course before entering university. Tian’s studies in Japan from 1916 to 1922 were originally aimed toward a prospective career in the Chinese military or politics but, being exceedingly fond of drama, he abandoned such plans and turned instead to the theater. Tian was motivated to translate Hamlet by the greatness of the play’s reputation and, more importantly, by his strong personal empathy with the protagonist which enabled Tian to use the work of translation to vent his own emotions, although he admitted a few years later that he had made mistakes in his translation because he had been “too young and too ambitious” to deal with such a profound piece of English literature (2000, 16:291). The year 1920 was of crucial significance for Tian. His uncle, who was also his guardian and father-in-law, was assassinated while working for Sun Yat-sen, the revolutionary founder of the Republic of China. Overcome by grief and indignation Tian Han began his translation of Hamlet. The first three scenes appeared in Shaonian Zhongguo ([The Journal of] the Young China Association) Vol. 2, Issue 12 in 1921,2 where Tian’s preface reveals how he sought relief from his private anguish by throwing himself into this translation, quoting Hamlet’s lines: “I haue of late, but wherefore I knowe not, lost all my mirth, forgon all custome of exercises: and indeede it goes so heauily with my disposition, that this goodly frame the earth, seemes to mee a sterill promontorie” (1342-7). Tian Han’s personal experience and the assassination of his beloved uncle seemed to echo Hamlet’s sufferings and impelled Tian to identify with the protagonist on whom “the clowdes still hang” (246). Hamlet’s remark that the world is a prison, “A goodly one, in which there are many Confines, Wards, and Dungeons; Denmarke being one o’th’ worst.” (1291-3) was precisely what Tian Han had come to feel about China. A year later, in November 1922, the finished translation was published in book form in the Shaonian Zhongguo congshu (Young China Association Series) for which Tian wrote a new preface expanding his interest in Hamlet from personal experience to a more general concern about modern theater in China. Modern Chinese theater–– huaju or spoken drama––was instituted at the beginning of the twentieth century to be a new theater based on the spoken language in contradistinction to the traditional theater––xiqu or theater melody (a generic term for over three hundred varieties of indigenous theater)––which is a total theater of singing, reciting, acting and dance including martial arts. The emergence of the new genre was closely associated with the political and social issues at the turn of the century, for young radical intellectuals regarded the traditional Chinese theater as mere “ornament” devoid of any educational function. Around the beginning of the 1920s modern drama developed quickly, and activists were keen to write their own plays dealing with social problems since most of them believed that drama was a “useful tool to instruct society and to enlighten people’s minds” (Wang Shouyue, 1914, 1). Among the few foreign plays staged at this time were those of Ibsen, Shaw, Gorky and other nineteenth and twentieth century playwrights espousing realism and naturalism. To become a Chinese Ibsen was the aspiration of many young dramatists. Spoken drama was thus dominated for a significant period by Western models of realistic and naturalistic theater. Tian Han used his translation of Hamlet as a reaction against this trend, and three years later he published his translation of Romeo and Juliet in a journal he edited. He thought there were too many Ibsen-style works and wanted to present readers and audiences with something different. In the preface to his translation of Hamengleite (Hamlet) in 1922, he used the image of oil painting to refer to Shakespeare’s works and marble sculpture to Ibsen’s. While he accepted that the accurate detailing of sculpture could be more realistic than oil painting, Tian argued: “Nowadays, there are plenty of sculptures in the museum, and if we can display some oil paintings, wouldn’t it make the display richer?” (1922, 1). As will be seen, the modern theater did subsequently include Shakespeare in its repertoire and most Chinese productions of Shakespeare over the rest of the twentieth century were staged in the huaju style. As a poet (one of his poems written at the beginning of the Sino-Japanese War [1937-1945] provides the lyrics for the Chinese national anthem), Tian Han was much concerned about the rhythm and words he chose for his prose translation. In order to convey Shakespeare’s poetry, Tian often used the traditional Chinese style of antithesis and borrowed expressions from classical Chinese poems. For example, in translating “this braue orehanging firmament” (1347-8) Tian avoided using a common Chinese word for “brave”, instead he chose “jiujiu”: an expression describing a brave warrior in a classical poem from Shi jing (The Book of Songs, 3000 BC). The repetitive sound of this adjective also brought out a particular resonance. His translations were thus beautiful to read and replete with significant connotations, but they could also be difficult for the ear to catch immediately while his use of extended sentences with Western syntax might be problematic. Such features explain why his translation of Hamlet has never been fully used for the stage. Yet this translation was important both as marking the first publication of an entire Shakespeare play in Chinese and as a personal landmark for Tian in entering Shakespeare’s world, or rather the world of theater. Shakespeare made him a playwright and a poet, and Shakespeare’s influence is evident in aspects of the characters, plots and language of Tian’s own plays. Over his lifetime, Tian Han wrote more than eighty plays––for the traditional theater as well as spoken drama––in addition to over eight hundred poems. He died in prison during the Cultural Revolution. (http://www.cnread.net/cnread1/gdwx/k/kongzi/lj/002.htm) [accessed: September 19, 2005]. In Shao’s interpretation of the play, the focus lay on Hamlet’s revenge for both his father and mother, since marriage to Gertrude was a further crime committed by Claudius. The translation followed the style of the classical Chinese poetry, paying much attention to prosody, although sometimes this led Shao to distort the original meaning. Liang Shiqiu started translating Shakespeare in the 1930s, and his translation of The Complete Works of Shakespeare was the only edition available in Taiwan for decades. In his writings about his intentions and methodology for this work, Liang defended his prose style of translation: “To be honest I was not able to take the rhythm of Shakespeare’s poetry into account. I felt that it was already difficult enough if I could try to express the full and accurate meaning of the original” (1971, 58). Nonetheless, in Liang’s translation of the Complete Works most couplets are kept in rhyme. His approach to Shakespeare’s text was inspired by Percy Simpson’s Shakespeare Punctuation (Liang Shiqiu, 1971, 58). Liang argued that instead of following contemporary usage regarding punctuation Shakespeare had created his own system to “help actors in recitation of their lines and enable them to reproduce these lines with the right cadence.” Liang claimed that in his translation he would “keep Shakespeare’s original punctuation intact” and would “take sentences as translation units” (1971, 59). The question of how to translate Shakespeare’s blank verse into Chinese fascinated the poet and translator Sun Dayu. Since the mid-1920s, Sun had been seeking a new style of Chinese poetry written in the vernacular. His ideal form would “consist of rhythm and must have rhythm, but it should neither rely on rhymes nor should it follow the strict prosodic rule of exact numbers of character in each line” (1988, XIII). He invented a new concept of “yinzu” (sound group) for modern Chinese poetry, which was much inspired by the style of the Italian sonnet. His first translation of a Shakespeare play was King Lear which he finished in 1935; but it was not until 1962, five years after he had been labeled as a rightist, purged and imprisoned, that Sun began translating H.H. Furness’s edition of Shakespeare’s plays. Like Tian Han in the 1920s, Sun channeled his feelings of indignation into his translation, and regarded Shakespeare, a foreign poet born four centuries earlier, as his only soul mate in this ominous political climate. Not surprisingly, Sun concentrated on the tragedies, and by the end of 1965 he had completed the four great tragedies as well as The Tempest and The Winter’s Tale. Sun employed his idea of the “sound group” in all these translations. “It is more or less the same as the original: the five iambic feet have transformed into five sound groups in my translation” (Sun Dayu, 1988, XIV). The political storm of the Cultural Revolution in 1966 abruptly destroyed Sun’s haven, as thirty Red Guards occupied his home for twenty-four days and took away all his books, research materials and personal possessions. Fortunately, his son-in-law, a medical doctor, had removed all the manuscripts of his translations before the arrival of the Red Guards, and these papers survived to be published in 1988. Scholars have expressed differing opinions as to how Shakespeare should be rendered into Chinese. Many issues have been debated: which edition should be used; whether or not to include stage directions (most of which do not appear in the First Folio); whether Chinese dialects should be used to express Shakespeare’s slang; whether it is necessary to translate Shakespeare into verse; and, furthermore, how to define “verse” in the Chinese language. Shakespeare’s lines are notoriously difficult to translate. While it is not impossible to capture some of the power of Shakespeare and the evocative imagery of his poetry in sonorous Chinese prose, this may involve some distortion or lengthy presentation. The following two examples are from Zhu Shenghao’s translation of Hamlet. In Hamlet’s “Let me be cruell, not vnnaturall” (2266), Zhu translates “unnatural” as “unfilial.” The next line, “I will speake dagger to her” (2267), is spelt out ponderously: “My words which are as sharp as a dagger will pierce her heart” (Zhu Shenghao, 1984, 8:83). Of the twenty or so published translators of Shakespeare, Zhu Shenghao (1912-1944) is probably the most remarkable. In 1935, two years after his graduation from the Department of English Literature at Zhijiang University, Zhu started work on The Tempest, and over the next nine years he translated a further thirty of Shakespeare’s plays. This achievement was despite the poverty and poor health Zhu suffered before his tragically early death at the age of 32. His manuscripts were destroyed twice during the Sino-Japanese War and he had to repeat much of his effort, but Zhu did not relinquish his project until he was very ill and bedridden. The value of Zhu’s work is demonstrated by the fact that his translations formed the principal contribution to the sole version of The Complete Works published in mainland China prior to 2001, and most spoken drama productions of Shakespeare since 1949 have employed Zhu’s translations. For several of the above-mentioned translators the main focus of discussion had been the linguistic challenges of translating Shakespeare; Bian Zhilin, however, was more concerned with the ideological aspect of Shakespeare interpretation. Bian Zhilin started translating Hamlet in 1954 as part of his overarching research project “to apply the standpoint, concepts and methods of Marxism to the exploration of the thought and art in Shakespeare’s works” (1980, 1:38). In 1957 Bian wrote a long essay about this play analyzing the historical background to Shakespeare’s writing and the characterization of Hamlet as an individual and in relation to the other characters in the tragedy. This essay will be discussed in the following section on the understanding and criticism of Hamlet because it influenced the Chinese interpretation of the play for decades thereafter. Bian’s translation was used as the dubbing script for the most influential film version screened in mainland China: Laurence Olivier’s Hamlet. 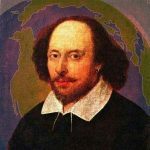 A few articles about Chinese translations of Shakespeare have been published, among which Chen Guohua’s “On Re-translating Shakespeare” (1997) is the most detailed and deals with translation techniques. Taking six different versions of Hamlet, he compared translations of two speeches: “What peece of worke is a man” (1350-1); and “To be, or not to be, that is the question” (1710). Chen argued that the best translation should be evaluated on the accurate understanding and full expression of the original taking account of Shakespeare’s varied use of style and language. From his analysis Chen concluded that translations should be based on the First Folio, with modern editions being consulted merely for reference. When foreign literature is introduced to any target culture, translation will necessarily play an important role. Translations of Shakespeare’s works occupy a more crucial position in China because they are not only read by general readers and used by theater companies, they are also taught in Chinese departments at universities and are essential research materials for those who have no access to the English language––a number of Chinese Shakespeareans cannot read Shakespeare’s texts or any related criticism in English. In compliance with the strict regulations imposed on higher education around the late 1950s English departments stopped teaching literature and their “task” was limited to teaching the language. Foreign literature could be taught in Chinese departments only in the form of translations, and this rule applied to Shakespeare despite his status as a canonical figure of world literature and the “giant” of the Renaissance (Engels, 1960, 2-3). The situation changed again following the end of the Cultural Revolution when the higher education system was re-established, and Hamlet does now appear on the curriculum in departments of English. However, due to difficulties with the language and length of the play, students only study selected scenes (see Luo Zhiye, 2001, 223-24). Chinese departments still teach Shakespeare through translation. Complete dependence on translations may give rise to misunderstanding and misinterpretation. An example noted by Bian Zhilin (1980, 41) concerned the course materials for Foreign Literature at a teacher training college in northern China in which Shakespeare was praised for advocating equality in his works: the illustration cited was the dialogue between Hamlet and Polonius about how to treat the players where the phrase “according to their desert” (1568-9) was translated in Chinese as “according to their social status”, and thus “Gods bodkin man, much better,…” (1570-4) was interpreted as Hamlet telling Polonius to treat the players—who had low social status—in the same way as courtiers. As mentioned above, no proper Chinese translation of any Shakespeare play existed before the 1920s. Nonetheless, Shakespeare’s reputation had been known in China since the late nineteenth century and his name was freely invoked both by attackers and by defenders of the traditional Chinese culture and establishment. In the early twentieth century, the story of Hamlet could be read in two Chinese versions derived from Charles and Mary Lamb’s Tales from Shakespeare: one by an anonymous writer was entitled Bao dachou Hanlide shashu (Hamlet Revenges by Slaying His Uncle); the other was Gui zhao (The Ghost’s Command) by Lin Shu (1852-1924). Lin Shu, who knew no foreign language, employed a team of assistants to translate numerous foreign novels and plays which then circulated widely across China. His semi-classical rendition of Tales from Shakespeare was first published in 1904 and proved so popular that it was reprinted a number of times even after complete translations of Shakespeare’s original plays had become available. Thus Lin Shu had a major impact on the Chinese understanding of Shakespeare’s works. For two decades, his was the only version of Shakespeare known to the Chinese-speaking readership and all early stage performances of Shakespeare were adapted from Lin Shu’s Tales. Moreover, he promoted the view that Shakespeare wrote “shenguai xiaoshuo”—stories of gods and spirits—a category very familiar to Chinese readers. Lin cited Shakespeare to argue with his more radical contemporaries who had used Western culture to censure the Chinese mentality. Opposing the idea that China was weak and backward because its tradition preferred the old to the new and dwelled on talk of gods and spirits, Lin claimed that even the canonical Western figure worshiped by the Chinese reformers had also “looked to ‘fairies and monsters’ for his inspiration, themes and language” (1904, 2). Based on Lin’s version of Hamlet (Gui zhao) various stage adaptations appeared including a Sichuan operatic version (Cao Shujun & Sun Fuliang, 1999, 210). A glance at the titles of some of these productions may provide some insight into the Chinese understanding of the play. Apart from the direct translation Prince Hamlet and Lin’s title, there were also: The Arch-careerist Brings Calamity on the Country; The Usurper of State Power; Usurps Supreme Power and Snatches the Sister-in-law; Deep Hatred; Kills the Elder Brother and Snatches the Sister-in-law. They demonstrate that the Chinese focus was on usurpation, adultery, hatred and revenge, all of which were staple themes of traditional Chinese literature and theater. In an article “Hamlet Across Space and Time,” Lu Gu-sun pointed out: “Chinese civilization, it is generally observed, is characteristically homogeneous, and its intrinsic processes are capable of assimilating and eventually incorporating alien influences. Therefore, to some of the early Chinese readers and critics of Hamlet the surface theme of the play—the murder of a king revenged by his dutiful prince and the violent death of the usurper together with his sometime sister now his queen—was aesthetically welcome, being conveniently in compliance with the Confucian ethical code demanding filial piety, unquestioning allegiance to the monarch, and constant chastity, and with Buddhist tenets of karma” (1988, 36:54). Such attitudes were also apparent in practitioners’ comments and newspaper advertisements. Xu Banmei, who staged an adaptation in the 1910s, said that “the cause of the tragedy of Prince Hamlet was the fact that his mother insisted on remarrying” (1957, 88). Xu assumed that Hamlet’s tragedy was caused by the moral lapse of a woman. However, the theme of remarriage was also topical at that time, since it was linked with the new and fashionable movement for women’s rights. It would seem therefore that this Chinese Hamlet was either an inevitable victim of his mother’s decision to remarry or a fierce defender of her honor. Chinese newspaper advertisements used sensational language to underscore these stereotypes: “… To avenge his father’s death, the hero has no choice but to sham insanity. In the end death spares no one. What a ruthless tragedy this is!” (Minguo ri bao, 1916, 5). Zeng Jize, the Chinese ambassador to Britain, recorded in his diary in 1880 the experience of seeing a London production of Hamlet. The very brief description showed that what struck him most was neither the language, nor the scenery, nor even the performance itself, but the plot: a tale of murder, adultery and revenge. Clearly, Zeng, Xu and the advertisement writers were presented with different versions of Hamlet (an original English production and Chinese adaptations of the story) at different times and in different places. Nonetheless, their essentially similar reactions demonstrate how much the receiver’s own indigenous conventions affect the process of reception. Conversely, the same foreign work could be put in a completely different perspective from the standpoint of those radical intellectuals who advocated the adoption of Western learning for “bloodless destruction” to eradicate the decadence and backwardness in society and to build up a new Chinese mentality (Liang Qichao, 1973, 67). Such reformers categorized Shakespeare and other literary figures as “fighters in the spiritual realm” (Lu Xun, 1981, 1:100) who were sorely needed at a time when a succession of military defeats and the “unequal treaties” had humiliated China. On this view, Hamlet was idealized as a hero amongst Shakespeare’s numerous protagonists who fought for their ideals. With the passage of time and the emergence of full translations of Shakespeare’s plays Chinese understanding of Shakespeare and Hamlet also progressed, although the insights gained might still be very slight. Those who had studied English literature abroad came back to China and started helping the wider Chinese readership become better informed. From about the mid-1920s, Shakespeare gradually lost his early resplendence as a “fighter in the spiritual realm,” while his reputation as “a writer about gods and spirits” was no longer mentioned. Chinese people paid more attention to Shakespeare’s artistry and language, and Shakespearean criticism began to emerge in China. Perhaps Lin Shu’s “Introduction” to Tales, Dong Run’s four articles “Shashi yuefu tan” (Talks on Shakespeare’s Works) published in Taipingyang (The Pacific Ocean Journal) journal in 1917, and Tian Han’s two prefaces to his translation of Hamlet in 1921 and 1922 could be regarded as the preliminary steps in Chinese Shakespearean scholarship. The first half of the 1930s, which was a fruitful period for Shakespeare translation in China, also saw the publication of articles on Shakespeare mainly by the translators themselves. Liang Shiqiu wrote a series of essays about the playwright, his plays and their history, as well as the theater and audiences in Elizabethan and Jacobean England. In “The Problems of Hamlet,” Liang began by analyzing the various arguments put forward by writers in the West on the subject of Hamlet’s indecision and distinguished three schools of thought. He represented Romantic criticism by T. Hammer, H. Mackenzie, Goethe, S.T. Coleridge, and W. Hazlitt who were all obsessed by Hamlet’s character. Liang’s second group was represented by C. Lamb and K. Werder who, having dismissed the alleged flaw in Hamlet’s character as deriving from the critics’ own imaginations, considered instead the world surrounding Hamlet and concluded that the delay in his taking action was necessitated by the external conditions. Liang rejected the arguments of both of the above groups because their interpretations were based on the subjective opinions of the essayists rather than an objective study of the text. Liang was more convinced by the contribution of critics who examined the theatrical conventions and applied textual analysis to expose the possible errors that Shakespeare made when he wrote the play. To represent this third strand of criticism Liang quoted works by A.C. Bradley and E.E. Stoll. In his conclusion, Liang commented that the research on Hamlet was not only fascinating but also revealed the important points that literary criticism must be founded on detailed textual research and that Shakespeare should not be idolized since even the greatest writer’s masterpiece could have errors (1934, 61-70). Chinese Shakespearean criticism was from the outset split between radical and conservative factions, and between left-wing and right-wing literati, mirroring the contemporary debates on general literary theory in China. Liang Shiqiu had posited in 1927 that literature expressed eternal human nature, and this made Shakespeare and other Western canonical figures universal (1978, 105). Therefore Hamlet reflected Shakespeare’s profound understanding of the human species as a whole. Liang’s opinion was representative of a group of scholars who had been educated in Europe or America. For the left-wing, by contrast, the very essence of literature was the nature of class, because “without using human beings, literature cannot portray the nature of the world. … If literature uses human beings who live in a society with different classes then the nature of class can never be avoided” (Lu Xun, 1979, 87). Liang Shiqiu and Lu Xun engaged in a famous debate on modern Chinese literature in which they often mentioned Shakespeare. However, it can be questioned whether Shakespeare was really the subject or was merely being invoked as a convenient banner as he had been in the disputes over traditional Chinese culture at the beginning of the century. It should be observed that nobody in the Chinese literary sphere, either on the left or right, denied Shakespeare’s canonical status. (By the late 1920s, the usual Chinese transliteration of his name, “Shashibiya,” seemed not to sound respectful enough, and more and more people started to use the term “Sha Weng” or “Old Man Sha” to refer to the playwright since, in Chinese culture, age is associated with wisdom and experience.) The rival factions—divided not only according to their political, social and literary views but also according to their ability to read the texts in the original English—continually raised the questions of “who has the right to talk about Shakespeare” and “to whom does Shakespeare belong” (Meng Xianqiang, 1991, 15-17). A more global perspective was gradually introduced to these Chinese debates as people became more aware of Western and Japanese Shakespearean criticism, and Russian Shakespearean scholarship brought the literary theory of Marx and Engels and their writings on Shakespeare to the attention of China. It is evident from the publishing and theater records for mainland China that most essays in Chinese Shakespearean criticism and most Chinese stage productions of Shakespeare appeared after the foundation of the People’s Republic in 1949. Therefore, in China “much of Shakespeare’s history is in fact the history of his assimilation within the People’s Republic” (Gillies et.al., 266). During the 1950s and 1960s, the Chinese interpretation of Shakespeare’s works in general, and Hamlet in particular, mainly followed the Russian Shakespeareans and Marx’s and Engels’s commentaries on literature and art. This preponderance of Soviet scholarship can be seen in the following data. In the ten years from 1949 to 1958, 65.8% of all foreign literature translations were works from the USSR and Russia (Bian Zhilin et.al., 1959, 47). In 1953, Mikhail M. Morozov’s Shakespeare in the USSR was published in two Chinese versions, one being translated by Wu Ningkun, and the other by Wu Yishan. In 1957 Alexander Anikst’s Shakespeare and his Plays was translated and published, and two years later, the Chinese version of his Concise History of British Literature appeared (Meng Xianqiang, 1994, 35). In April 1955 the official national journal on theater, The Drama Bulletin (Xiju bao), published Xu Shulun’s article “Eliminate Bourgeois Thought in the Introduction of Shakespeare” which set the criteria for Shakespeare interpretation in the new China. Xu stated that “Shakespeare Studies has long been controlled by bourgeois thought” (44), citing the example of Hamlet where despite voluminous essays on the play “none of the critics could successfully solve the puzzles of the character. The essential reasons for not being able to do so are first of all, [those critics] ignored the spirit of the time when the English bourgeois revolution was under way; in addition, they abandoned the humanism in the English Renaissance. They thus could not see where the composition [of Shakespeare’s works] was based” (45). Having quoted Marx, Engels, Pushkin, Belinsky and Morozov, Xu asserted that the USSR—the “second motherland of Shakespeare”—had already eliminated bourgeois thought from Shakespearean scholarship, and the Soviet Shakespeareans had thus established an ideal model for the Chinese scholars. He further insisted that “the most urgent task for us Shakespeareans in the Chinese cultural realm is to apply Marxism to the correct interpretation and introduction of Shakespeare; to eliminate the influence of European and American schools and their theories on our Shakespeare Studies” (45). Indeed, two distinct Chinese editions of Marx’s and Engels’s writings on Shakespeare were compiled separately by Sun Jiaxiu and by Meng Xianqiang. For nearly half a century, the commentaries of Marx and Engels provided the guidelines observed by most Chinese writers and stage performers. However, the use of Marxism by some Chinese intellectuals reflected a pragmatic strategy for survival in the hazardous political climate, since Marx’s and Engels’s approbation of Shakespeare could be held up as a red banner offering a degree of protection to those who tried not to conform with Party propaganda in literature and the arts. In respect of different Shakespeare plays it might be necessary to seek out specific quotations to fit the prescribed literary doctrine. But Hamlet was exceptional because “it is the center of Shakespeare plays” (Bian Zhilin, 1957, 70): most commentaries of Marx and Engels could be applied to this play, and whenever Chinese scholars elaborated the ideas of Marx and Engels, Hamlet would always be taken as the prime example. The label of “a Renaissance giant” that is customarily attached to Shakespeare in China is quoted from Engels’s “Introduction” to Dialectics of Nature. Engels maintained that the Renaissance “was the greatest progressive revolution that mankind has so far experienced, a time which called for giants and produced giants—iants in power of thought, passion, and character, in universality and learning” (1960, 2-3). Furthermore, Shakespeare was “a realistic playwright” because he presented “the truthful reproduction of typical characters under typical circumstances” (Engels, 2001, 48:167). In their writings, Marx and Engels criticized Ferdinand Lassalle for turning the historical characters in his tragedy Franz von Sickingen into mouthpieces for the playwright’s revolutionary ideas. “In my view of drama, the realistic should not be neglected in favor of the intellectual elements, nor Shakespeare in favor of Schiller” (Engels in Baxandall & Morawski, 1974, 110). Shakespeare offered a model for future drama since he achieved the unique “Shakespearean vivacity and wealth of action” (Engels in Baxandall & Morawski, 1974, 145). Thus literature and arts should be “Shakespearized more” and involve less “Schillerism” (Marx in Baxandall & Morawski, 1974, 108). Bian Zhilin’s famous 50000-word essay on Hamlet, published in 1957, was the first Chinese work that attempted to interpret a Shakespeare play by applying the Marxist “dialectical and historical materialist point of view” (Bian Zhilin, 1957, 70). First of all, Bian considered the idea Shakespeare expressed through Hamlet that “the purpose of playing, whose end both at the first, and novve, was and is, to holde as twere the Mirrour vp to nature, to shew vertue her feature; scorne her own Image, and the very age and body of the time his forme and pressure” (1868-72). According to Bian, the word “playing” here covers both theater and all creative literature. Thus Shakespeare’s works are intended to be the reflection of his times and must be interpreted in the context of the period of history in which Shakespeare lived and wrote. “As the ‘soul of his time’ (not merely skin or hair), [Shakespeare] used his outstanding realistic art and expressed his eternal affinity to the people” (76). Even when Hamlet meditates on the deeply personal question “To be, or not to be,” Bian claims that “he hardly thinks of himself but inequality in society” (89) as exemplified in the lines “For who would beare the whips and scornes of time, Th’oppressors wrong, the proude mans contumely,… who would fardels beare, To grunt and sweat vnder a wearie life” (1724-31). To Bian, Hamlet aligns himself with those who have been exploited by society when he describes himself as “a rogue and pesant slaue” (1590) and only finds true companionship with the players who belong to the lowest strata of society. “Through his bitter thinking (i.e. his soliloquies) and his mad words, Hamlet realizes the social inequality and the suffering that the masses have borne. Such an experience not only makes Hamlet hate his enemies more but also gives him more strength to carry on his fight. The bright color of his idealism is shown in Hamlet’s accusation of the whole world” (91). Before Hamlet dies, he still maintains his responsibility for his people by arranging for a successor. From this detailed analysis Bian concludes: “The theme of this tragedy should be the conflicts between the ideal and the reality. Human beings fight for the ideal. Even if they fail at the time, their fight illuminates the glory of the ideal. This therefore strengthens and consolidates human beings’ confidence in their ability to reform the reality” (98). In further support of Engels’s view of Shakespeare as a “realistic” dramatist, Bian interprets Hamlet’s comments on playing as proving that Shakespeare advocated the realistic style of theater and acting. This outline of Bian’s essay summarizes most writings on Shakespeare and Hamlet in the period before the eruption of the Cultural Revolution in 1966. Despite the fact that very little contemporary Western Shakespearean criticism could be read in China, Chinese writers would frequently condemn the “reactionary standpoint” of critics in the West. For instance, in 1963 Zhu Hong wrote an essay on the Western interpretation of Hamlet. Having surveyed the important critics of the first half of the twentieth century—A.C. Bradley, E.E. Stoll, T.S. Eliot, G.W. Knight and J.D. Wilson—she asserted that “the commentaries on Hamlet in the twentieth century in general cannot help us understand the characterization of Hamlet” because “the twentieth century is the century when the bourgeoisie has declined and decayed. This is also the century when all the decadent and rotten ‘new schools’ have emerged in bourgeois concepts of literature and art as well as in criticism” (Zhu Hong, 1963, 122-3). If, in the West, Claudius was no longer stereotyped as a representation of evil but was perceived as a more complex character, Zhu declared that this should be seen as a “reflection of the critics’ own reactionary standpoint” since Western critics always “impose their own dark and decadent feelings arbitrarily onto Hamlet” (123). During the Cultural Revolution from 1966 to 1976, the Red Guards refrained from publicly denouncing Shakespeare in consequence of the approbatory comments of Marx and Engels. Nevertheless, together with other Western literature and China’s own cultural heritage, Shakespeare’s plays were branded as “feudal, capitalist and revisionist works” and were not performed or studied. Conversely, in the freer atmosphere of the 1980s, when the whole nation was avid for a sense of connection to the world beyond Maoist China’s borders, there was a remarkable upsurge in Chinese Shakespeare studies and performance. Indeed, by virtue of being a representative of the Western canon who enjoyed Marxist approval, Shakespeare appeared to be the ideal choice at that time for literary and theater practitioners who felt they needed to remain cautious regarding what could safely be written or put on the stage. Shakespeareans such as Bian Zhilin began candidly and self-critically to re-examine what they had written about Shakespeare and to apply new concepts in their interpretations. Hamlet was once again the play on which Chinese Shakespeareans tended to focus, but where the analyses used mainly to concentrate on the issues of theme, characterization and historical background, the scope now widened to include language, imagery, the association with the medieval theatrical tradition and the play’s relevance to modern theatrical practices. Chinese critics abandoned the notion of the “Renaissance giant” and started discussing Hamlet’s character from a broader perspective, introducing various Western methods of the mid-twentieth century such as Freudian psychology. However, after decades of indoctrination in Marxist literary theories, most Chinese Shakespearean criticism still betrays the stamp of Soviet orthodoxy. For example, Zhang Junchuan, the vice chairman of the Chinese Association of Shakespeare Studies from 1984 to 1995, asserted in his article “The Internal Conflicts of Hamlet” that Hamlet “devotes his whole life to the fight for his ideal” (1994, 152), and therefore “his revenge, different from [that of] Laertes and Fortinbras, consists of the principle of humanism” (148). The fatal problem facing Hamlet is that as a “feudal prince” he fights on his own: as “a lonely ghost wandering around the world” he fails to understand that he should rely on his people and unite with potential allies at Elsinore (147). Chinese performances of Hamlet have employed a diversity of approaches, styles and techniques over the course of the past hundred years, affording further insights into the general understanding of the play in China and its reception by Chinese-speaking audiences. Like other Shakespeare plays, Hamlet has been staged both in the huaju style (spoken drama or modern theater) and in xiqu (the traditional singing theater). Wenmingxi or civilized drama (for civilized read “modern”) was a new theatrical genre with a clear ideological commitment when it first appeared on the stage at the beginning of the twentieth century. It was the embryo of the later huaju, the modern Chinese theater. He [Claudius] is the minister of the court but usurps the power of the King and the country, and also commits adultery with the Queen. He is the brother of the King but steals his sister-in-law from her husband and seizes state power. To avenge his father’s death, the hero has no choice but to sham insanity. In the end death spares no one. What a ruthless tragedy this is3 (Minguo ri bao, 5). Although these performances highlighted the sensational side of the play, they were not without social relevance. The Usurper of State Power was a veiled attack on the recent attempt by Yuan Shikai to abolish the Republic and to install himself as Emperor. In 1916, Gu Wuwei, a popular actor at that time who was involved in the production, was arrested, imprisoned, and sentenced to death by the authorities on the charge of using drama to incite local disorder. He was not released from prison until Yuan Shikai was overthrown. Most Shakespeare performances have been staged in the huaju or spoken drama style, a form of theater devised at the beginning of the twentieth century to emulate Western theatrical practices. The term huaju indicates that the spoken language is the centerpiece of this theater in contrast to the operatic style of the traditional Chinese theater xiqu (literal meaning “theater melody”). It is customary for huaju Shakespeare performances to use straight translations of the English texts. However, some recent productions show that practitioners are now prepared to manipulate the original dramatic structure by cutting, moving or even rewriting scenes in order to express their own interpretations of the issues they perceive in the plays. As indicated in previous sections, Hamlet, with his vehement protests against corruption and injustice, and with his impassioned affirmation of human dignity, evoked widespread empathy in the Chinese readership. Given this background and the preeminence of Hamlet as a literary masterpiece, the director Jiao Juyin resolved to stage this particular play at the nadir of the Sino-Japanese war (1937-1945) when the whole country had suffered years of devastation and was divided into military zones controlled by the Nationalist Party, the Communist Party and the Japanese invaders. The 1942 Hamlet was produced in Jiang’an, a small county in Sichuan, near the wartime capital of the Nationalist government in Chongqing. Many artists, unwilling to be the “foreign slaves” of the Japanese army, had left their home cities in the occupied east of the country and followed the Nationalist government inland, while others had moved to areas under Communist control. It was imperative that any cultural activity at that time should show to the outside world that China still existed as an undefeated nation. However, by 1942 the Japanese assault on China was into its fifth year and circumstances across the country were growing steadily worse. The morale of the whole nation was low, as people could see no end to the disasters of war. As a play, Hamlet could in no way meet the standards of this revolutionary mission. The picture of politics and society contained in the work, its implications and nuances, together with the frequent metaphors of doomsday, pestilence and prison, might easily appear like allusions to the supreme “people’s democratic dictatorship.” Extreme sensitivity in this regard could perhaps explain why there remain only incomplete notes of a lecture on Hamlet given by the Soviet expert Kurinev (who worked in the Central Academy of Drama in Beijing in 1956 and 1957) covering the analysis of the text, scenes, characters and ideas of directing.None of the three Russians who were invited by the Chinese government to teach in the prestigious Beijing and Shanghai drama academies in the 1950s attempted to stage Hamlet in China. Stalin’s ban on the play during the Second World War might have been a factor. It was also possible that the Russians felt that Chinese actors were just not yet “ready” for a great tragedy like Hamlet. From detailed records of their lectures and rehearsals published by the academies it is evident that the visiting experts adopted a patronizing attitude towards the Chinese theater and its practitioners. As part of their teaching and demonstration, the Russian experts mounted several stage productions at the Chinese academies, and the three Shakespeare plays that they directed or designed were Romeo and Juliet, Much Ado About Nothing, and Twelfth Night. This preference for romances and comedies, and the interpretation and presentation of the plays formulated by the Soviets, established the model for Shakespeare performance that Chinese theaters continued to follow over the next forty years. Against this background, there is a suspicious absence of information relating to Jiao Juyin’s restaging of Hamlet in 1959. Jiao Juyin, already the general director of the Beijing People’s Art Theater (the Chinese equivalent of the Royal Shakespeare Company), revived his 1942 Hamlet with the students of the Advanced Acting class at the Central Academy of Drama. However, there are absolutely no records of the 1959 performance in the archives of the Central Academy, although normally minutes would be taken of all important rehearsals. There were also no articles about this production in theater journals or even in the Academy’s own journal. When I tried to trace this production, I could not find any actor who was involved in the work, while people who remembered it said that it was not really performed publicly. The only explanation of this unusual treatment of Jiao, the foremost director in China whose other stage works were being reviewed and commented on nationwide, was that Hamlet was too ambiguous a play for the Chinese authorities to deal with at that time. The 1984 Shanghai Theater Academy production directed by Chen Mingzheng and An Zhenji; translator: Zhu ShenghaoFor the various reasons discussed above, audiences in the People’s Republic of China did not get the opportunity to see Hamlet on the stage until 1984, thirty-five years after the foundation of the People’s Republic and eight years after the end of the Cultural Revolution. It was a graduation performance by the acting students of the Shanghai Theater Academy. The 1984 Hamlet directed by Chen Mingzhen and An Zhenji was the theatrical embodiment of the orthodox Chinese understanding of the play. Hamlet is interpreted in accordance with Engels’s notion of a Renaissance giant, so the play presents the profound conflicts within a feudalistic society and “through its realistic art, it conveys a deep and broad affinity with the masses” (Bian, 1957, 76). The keynote in this staging was cited from Aleksandr Abramovich Anikst, the author of Shekspir, which was translated into Chinese in the same year: “The lines ‘What a piece of work is a man…’ are a reflection of the greatest humanism” (1984, 35). At an interview held in October 1997, the director Chen Mingzhen remarked that, as a masterpiece of Renaissance humanism, Hamlet illuminates two contrasting images: a country whose atmosphere is “a foule and pestilent congregation of vapoures” (1349-50) poisoned by the feudal rule of Claudius, the evil king; and an ideal state in the mind of the young protagonist who has been educated at Wittenberg, the cradle of humanist thinking. In the world that Hamlet envisions, the inhabitants would realize the ideal exemplified in his words: “What peece of worke is a man, how noble in reason, how infinit in faculties, in forme and moouing, how expresse and admirable in action, how like an Angell in apprehension, how like a God” (1350-4). By contrast to this “beautie of the world” (1354), Claudius—a “satyr”—represents the decadence and corruption of feudalism, akin to “this Quintessence of dust” (1355). Chen felt that the conflict between these two opposites was irreconcilable and could result only in tragedy. Therefore the hero would have to die for his supreme ideal. Hamlet, “as described by Engels, was a giant of the Renaissance and was a multi-faceted character. The time offered him an opportunity to develop fully in every respect, yet it imposed severe restrictions on him… Although [Hamlet] was limited by his own class divisions and historical conditions, his ideal paralleled the people’s will… But Hamlet neither trusted, nor relied on the masses, his failure was thus unavoidable” (Chen, 1997). Nevertheless “history would progress forever, and Hamlet’s failure contained the seeds of victory” (Bian, 1957, 112). Chen stressed what he saw as the bright ending of the sublime tragedy: “Though four people die in the last scene, this is a demonstration of the victory of humanism” (1997). Interestingly, Chen’s 1984 production also displays certain influences from two Western versions of Hamlet: Laurence Olivier’s 1948 film which was dubbed into Chinese in 1958; and the English stage production from the Old Vic in London which visited Beijing and Shanghai in 1979. During the Cultural Revolution, Laurence Olivier’s film of Hamlet had been banned along with other Western films as well as Russian Shakespeare films (Othello, Twelfth Night and the ballet Romeo and Juliet). When the ban on masterpieces of Western and Chinese heritage was lifted in the late 1970s, Hamlet immediately attracted the attention of Chinese cinema audiences. Laurence Olivier’s great fame, Bian Zhilin’s eloquent translation and the beautiful delivery of the Chinese actor Sun Daolin who dubbed Hamlet made the protagonist’s soliloquies a vital component in speech training materials for acting students. I was an undergraduate at the Shanghai Theater Academy and I still remember how almost every morning I could hear acting students, carefully imitating Sun’s arrangement of the rhythm, reciting the Chinese lines for “O that this too too sallied flesh would melt, Thaw and resolue it selfe into a dewe” (313-4). Later, the publication of a Chinese translation of Olivier’s biography made his version of Hamlet even more popular. A very different image of the prince was offered to Chinese audiences by the Old Vic production directed by Toby Robertson, with Derek Jacobi as Hamlet and Jane Wymark as Ophelia, which toured Beijing and Shanghai in November 1979. This was the first professional drama production from Western Europe to be staged in mainland China since 1949. Ying Ruocheng, who was to become the deputy Minister of Culture from 1986 to 1990, and his colleagues provided a simultaneous translation through earphones successfully enabling Chinese-speakers to gain access to a live play in English. I saw the performance in Shanghai, and I attended the seminar organized by the Association of Dramatists in Shanghai between the Chinese practitioners and their English counterparts. The Chinese reaction towards this production was mixed because it differed too greatly from their preconception of what a Shakespeare production should look like, a model that the Russian experts had fixed in Chinese people’s minds during the 1950s. It was also very different from Laurence Olivier’s film. First of all, the Old Vic’s Hamlet had minimal scenery on the stage and looked rather poor in comparison with the magnificent scenery typical of Russian presentations. More importantly, Derek Jacobi’s Hamlet did not convey the style of princely nobility that Olivier had evinced in the film. However, the Old Vic still possessed a certain authority in Chinese eyes because it was from England, Shakespeare’s homeland. Inspired by the Old Vic’s example, Chen Mingzheng did not opt for the grand scenery in the Renaissance style with high pillars and broad arches that most Chinese Shakespeare productions chose to employ. With regard to the performers’ appearance, however, Chen followed the convention of trying to give the actors a Western “look” with artificial make-up, prosthetic noses and wigs, as well as luxurious Renaissance-period costumes. Hamlet was dressed in black to indicate his state of mourning. Gertrude was interpreted as a woman temporarily seduced by Claudius, her white gown symbolizing her essentially good character and pure soul. The pace of the production was rather slow, full of pauses to convey the characters’ deep thinking, as Chen had instructed all the performers to pay close attention to every word that they delivered in order to emphasize that Shakespeare’s lines are imbued with profound meaning and express the humanism of the Renaissance. The 1989 Hamlet directed by Lin Zhaohua and Ren Ming; translator: Li JianmingThe director Lin Zhaohua had achieved fame, and aroused controversy, through his experimental theater work during the mid-1980s in association with the writer Gao Xingjian (the Nobel Lauriat for Literature in 2000). Deeply depressed by the consequences of the June 1989 student demonstration in Tiananmen Square, Lin Zhaohua channeled his reflections on those tragic events and the realities they exposed about contemporary China into an experimental production of Hamlet which he presented in Beijing later that year. This was the maiden work staged by the Lin Zhaohua Drama Studio, a loosely-organized private theater that Lin created in response to the government’s radical economic reforms and the severe cut in subsidies for state-run theaters. The 1989 Hamlet turned out to be an important step in Lin’s directorial career because, under the aegis of the play’s incontrovertible status, Lin seized the opportunity to advance his experimental techniques in lieu of the established notions as to how such masterpieces ought to be directed, opening a new phase in his subsequent theatrical output. Lin Zhaohua adopted a radical approach in staging his Hamlet in Beijing by abandoning the orthodox “Western look” make-up, wigs, prosthetic noses and “doublet and hose” costumes in order to portray Hamlet as “one of us,” an urban Beijing man. Similarly, instead of having lines uttered with great deliberation, the pace at which the actors spoke was very fast: indeed, sometimes it was too fast for spectators to follow. Unlike Chen Mingzheng’s 1984 production, Lin’s 1989 Hamlet was not a Renaissance giant with the sublime mission of rescuing his country and his people from a feudal tyrant. There were no longer heroes or villains in the play, just ordinary Beijing people in the late-twentieth century. Lin explained that Hamlet was “neither a prince who seeks revenge for the sake of justice nor a hero of humanism. What we are facing is ourselves. To face oneself is the most active and courageous attitude modern people can possibly assume” (1994, [no page number]). In order to express his underlying idea that Hamlet is “one of us,” and everyone is Hamlet, Lin used the device of switching key character parts among a number of actors. For instance, at certain points in the performance the two actors who predominantly played Hamlet and Claudius abruptly interchanged roles, at another moment the actor playing Polonius temporarily assumed the character of Hamlet, and the soliloquy “To be, or not to be,…” (1710-42) was shared by all three of these actors. Hamlet, Hamlet (in Cantonese), 2000, directed by Xiong Yuanwei; stage designer: He Yingfeng; dramaturge: Zhang BingquanAs part of the millennial celebrations, a symbol of the unification of mainland China and the previously colonial Hong Kong, the Shenzhen-based director Xiong Yuanwei was invited to work on a joint production with several Hong Kong theaters. For the project to succeed, however, Xiong needed to surmount several obstacles that currently stand in the way of the effective cooperation of mainland and Hong Kong practitioners since not only are their political and economic backgrounds completely dissimilar, but also the spoken language employed on the stage is different: Mandarin on the mainland and Cantonese in Hong Kong. Xiong decided that Hamlet, a canonical work from the former colonial power, would best assist him in communicating with his Hong Kong counterparts. The main themes Xiong chose to explore in Hamlet were foreignness and uncertainty, as these seemed especially relevant to the current situation in Hong Kong, and his method for illustrating these concepts was to present the live action on the stage in parallel with Laurence Olivier’s film of Hamlet. Hence Xiong’s 2000 Cantonese-language production utilized multimedia techniques to interact with Olivier’s 1948 film which played a significant role throughout the performance. The version of the film projected above the stage was subtitled in Chinese rather than dubbed, and it therefore exhibited foreignness both visually and in its soundtrack. The title of Xiong’s production—Hamlet, Hamlet—pointed to the presence of two Hamlets before of the audience: the classical image in the film speaking in English, and the live actor on stage speaking in Cantonese. Today we put on Shakespeare and no doubt we need some of our own interpretation, modern interpretation…. I want our performance first of all to be perceived as Shakespeare, but at the same time the stage is full of uncertainty. Uncertainty is the defining characteristic of today’s eclectic world. Value nowadays is ambiguous and uncertain. People uncertain about what to do take the simplest way and turn to “screen worship.” Contemporary behavior and fashion are deeply influenced and controlled by the electronic media. Reality needs to be confirmed by the screen, or even worse that reality disappears in the screen. In our performance, we let our modern Hamlet on the stage see a classical Hamlet in the videotape, and the former reflects his own life and fate in the light of the latter on the screen (2000). Indeed, widespread feelings of insecurity can be observed amongst the populations in both mainland China and Hong Kong arising from the ongoing economic and political developments and confusion over what patterns of behavior are apposite in today’s changing circumstances. For almost half a century, life in mainland China had been relatively simple because there were no choices to be made. The standard of living was low and political controls were strict: nobody dared to say anything contrary to the official line propagandized in the media because those who had attempted to express their own ideas suffered disastrous consequences. Now, China’s role in the world and the lifestyles of Chinese people are being transformed through factors such as the “open door” policy, the rapid growth of the internet, economic competition and the impact of globalization. As a result, for the first time in their lives, Chinese people are experiencing a profound sense of uncertainty at the choices and challenges they are being forced to deal with in this unprecedented process of transition.Hong Kong, by contrast, has always been part of the global trading economy, but as a former colonial territory its people had found it difficult to forge a sense of identity. Many had optimistically expected that after reunification in 1997 this problem would be solved. In practice, however, visions of a post-reunification idyll have been supplanted by the realities of an evermore competitive existence, and there is no longer the prospect of an instant solution such as “1997” had once seemed. Confidence in the economy was shaken during the Asian financial crisis, and people show increasing disappointment with the greater ideological control and the way they are being governed under the policy of “one country with two systems” (whereby the Chinese central government gives Hong Kong legislative autonomy). In addition, ordinary Hong Kong citizens feel threatened by the effects of tourism and immigration from the mainland. Not only does mainland China appear alien, but Hong Kong also now feels unfamiliar to its people. Xiong Yuanwei, a 1964 graduate from the Acting Department at the Shanghai Theater Academy, lives and works in the Shenzhen special economic zone4 where the impact of the economic reforms is stronger than anywhere else in China. His post-modern eclecticism is symptomatic of the uneven course of his personal life and career. A decade before this production, he stated: “Toward openness, toward modernity, toward eclecticism! They are today’s cultural values and are the only direction that our generation [of directors] must choose to go” (1991, 164). Xiong had espoused modernity in spoken drama as early as 1980 when he directed Jean Cocteau’s Orpheus in Beijing,5 at a time—four years after Mao’s death—when most stage productions still followed the conventions of condemning the darkness (the “Gang of Four”) and praising the brightness (the newly risen leaders). The crisis of uncertainty shared by people on the mainland and Hong Kong offered the director a meeting point to bring the two very different mentalities and theaters together. Xiong felt Hamlet provided a suitable vehicle to explore this subject using methods derived from his long interest in post-modernist concepts: “I thus de-structured the original Hamlet, and made him into two. A “real” Hamlet and a Hamlet in image on the screen. By contrasting the two, we obtained the new interpretation of the character and the performance” (2000). This contrast was brought into even stronger relief by having the stage performers speaking in Cantonese while Olivier’s film in English was projected above them. Hamlet Can anything be more depressing than something that you don’t want to be true but is proved to be true? Don’t you think that what happens on the screen has already taken place around us? Ophelia It wouldn’t be like this, would it? I hope nothing happens. Hamlet switched on the video-player again. This time, it showed a recording of the court scene performed by the Chinese actors of the stage production. On the video, the Chinese Claudius spoke the same lines, but in Cantonese, and performed gestures identical to the King’s in the film extract. Similarly, the Chinese Gertrude behaved and smiled like the Queen in the film. At the same cue, “for all our thankes,” Hamlet angrily stood up and stopped the video. Claudius and Gertrude then came on stage to continue with the remainder of the scene. Thus, instead of locating this scene amid the formality of a feudal court, Xiong presented the dialogue between Hamlet, Claudius and Gertrude in the informal modern setting of Hamlet’s apartment.Olivier’s English film was intertwined a number of times with the live Cantonese performance. The most significant instance occurred before Hamlet’s duel with Laertes when, having seen what happens to Hamlet in the film, the modern Hamlet delivered as a monologue the lines “Not a whit, we defie augury,…” (3668-73). On his line “let be” (3673+1) the production reverted to the conventional pattern with the entrance of Laertes, Claudius, Gertrude and the attendants. Xiong staged the final scene of the play somewhat in the manner of a Grand Guignol spectacle: Horatio here sacrifices his life to save his friend, and Marcellus machine-guns all of Claudius’s soldiers to stop them shooting Hamlet, Marcellus in turn being shot by Claudius before Hamlet finally kills the King. Hamlet alone survives, surrounded by corpses all over the stage. In a dark and pessimistic ending, Hamlet slowly walks to the center of the stage, picks up a pistol, and lit by a single spotlight, delivers his final speech. Xiong moved the first four lines of the famous soliloquy “To be, or not to be,…” to this point in the performance, and due to the difference of the word order between Cantonese and English, the last line of the 2000 Hamlet, Hamlet reads: “Whether tis nobler” which is left as an open question facing the audience. The director’s arrangement of this scene leading to that last question might have focused the audience’s thoughts on his idea of “uncertainty.” Nevertheless, the “manifold possibilities” (Holland cited Kennedy, 1997:265) of the “To be, or not to be” soliloquy became confined to merely one issue: whether or not Hamlet should commit suicide to join the other corpses. People uncertain about what to do take the simplest way and turn to “screen worship.” Contemporary behavior and fashion are deeply influenced and controlled by the electronic media. Reality needs to be confirmed by the screen, or even worse that reality disappears in the screen. Xiong employed multimedia techniques to present several scenes of the production: in particular, the play-within-the-play was shown on the video-screen, as was the ghost. Ophelia’s death occurred through an electric shock from the video-cables after she screened a recording of her with Hamlet in a steaming sauna. As the characters on the stage had their doubles on the screen, so the performances were presented as a copy, or even a copy of another copy. The live Hamlet was unsure of his reality: did his life have to mirror the protagonist in Laurence Olivier’s film or was the resemblance purely coincidental? Was the ghost a supernatural spirit, an idea in Hamlet’s mind or just an electronic image? Just as the actors on stage mirrored those in the film, so the auditorium was structured so that one half of the audience should mirror the other. The stage was in the form of an elongated rectangle dividing the audience in two, with the spectators seated along either side facing each other across the stage. This layout meant that as spectators witnessed the action on stage they were also made to watch the reactions of their counterparts sitting opposite. The disturbing effect for audiences may well have intensified the feelings of alienation and uncertainty which the director intended to provoke. On the stage there was a huge rectangular platform (7.5m x 2.5m x 80cm), variously representing a table, a lawn or the floor of a room. The set created great difficulties for the stage blocking because performers had to turn to face either one half of the audience or the other. However, a positive result was to accentuate the metaphoric distance between Hamlet and Claudius, who were often placed at opposite ends of the platform. Presenting the live Hamlet as a reflection of the foreign film-image of the Prince, or making him confirm his own experiences by referring to the screen, seems a very interesting starting point. But instead of trying to develop fully the possibilities that this approach could have brought, Xiong seemed content with a few sensational touches such as the videoed sauna scene7 and the machine-gun massacre at the end of the play (and it may be noted that both of these scenes tended to make audiences laugh). Further, the production omitted several important elements of Shakespeare’s tragedy, such as Claudius’s prayer scene. Xiong’s 2000 version of Hamlet thus missed some vital dramatic insights into the characters. The anxiety about being accused of distorting Shakespeare, or even of losing Shakespeare, restricted what Chinese practitioners were prepared to attempt with the potential opportunities afforded by Shakespeare’s works. However, since the 1990s, due to the radical economic reforms and a relatively relaxed ideological climate, it has become much easier for information from the outside world to enter China and people have started looking at the Western canon from different and innovative angles. There have been two adaptations in the huaju style based on Hamlet. Although plays such as Tom Stoppard’s Rosencrantz and Guildenstern are Dead in 1967 had set a trend for freely adapting Hamlet in the West, it was not until 1994 that audiences in mainland China were first shown that a huaju adaptation of Shakespeare was possible. Shamlet was a work of collage written and first staged in Taiwan by Li Guoxiu, a Taiwanese dramatist. It was restaged for the 1994 Shanghai International Shakespeare Festival despite a disagreement among the Festival’s committee members as to whether this production could be included in the program since the original Hamlet was diminished to the status of a mere play-within-a-play. The Chinese title Shamuleite is a comic portmanteau word made up of the respective transliterations for Shakespeare (Shashibiya) and Hamlet (Hamuleite). As a theatrical piece of collage the script showed an obvious debt to numerous Western dramatists and filmmakers. Shamlet, subtitled “a comedy of revenge” (Li Guoxiu, 1992:1), juxtaposes Shakespeare’s Hamlet with the tragicomedy of a struggling acting troupe in present-day Taiwan. This juxtaposition provides a link between the two cultures, no matter how absurd or contradictory the connection may be, while also serving to deconstruct the two parallel texts. If the adapter of Shamlet was concerned about the concept of “who I am” and set out to explore the identity of an “I” in contemporary Taiwan, the group that devised To Be or Not To Be was more interested in the uses of theatricality to exhibit the primal instincts of human nature. The focus of this production was passion: the passion between man and woman, and the passion for power. The adapters drew their inspiration from Hamlet’s phrase “To be, or not to be,” but because there is no exact equivalent for “to be” in Chinese, they decided on a more sensational Chinese title with the literal meaning “Who Kills the King.” The King at the center of this story is Hamlet’s father, but in this adaptation the King’s three closest relatives—his brother, wife and son—are each planning to poison him. These potential murderers are all motivated fundamentally by lust or ambition. Meanwhile, the King himself is distressed by the thought that he does not lead a valuable or interesting life in this mortal world and ponders whether it might be better to go to the other world. Each of the four acts in the adaptation presents a possible scenario for the events leading to the death of the King. Firstly, the King could be killed by his brother who desires his throne as well his wife. Secondly, he could be killed by the Queen who cannot bear her old and impotent husband any longer and naturally falls in love with the young brother-in-law. Thirdly, the King could be killed by Hamlet, his son, who thirsts for power. In the last act, the King faces these three people who all want him to die for their own reasons. The performance closes with the King deciding to take the poisons the murderers have prepared for him because he realizes that the whole world is cold and ruthless, his life is meaningless and he has lost all hope in the future. Each act ends with the line “To be, or not to be,” but using different Chinese translations of the phrase which convey subtly different meanings to a Chinese audience: one translation could refer to a person’s life at the present moment; another to life in principle; and another to the state of existence. The four acts were staged in distinct theatrical styles. Act one was presented as a puppet-show, although performed by live actors. Act two had the form of a traditional Chinese opera in which lines were recited at a slow pace with a dragging sound, and the performers employed formalized gestures and body movements. Act three was acted in a Western operatic style. The final act was presented on a dark stage, with all the performers dressed in black. The following extract comes toward the end of the adaptation. As well as the four principal characters taken from Shakespeare’s Hamlet, there are two exogenous characters who represent contemporary Chinese people. People holding strips of cloth move to surround the King who is much troubled. King All right. Nowadays Denmark has become a huge hell. Everyone wants me to die and you have used questions, which can be piled up as high as a mountain, to pressurize me. I cannot even breathe. What can I do? What can I do? King’s brother To live or not to live, this is a question. Queen Life or death, it is the exact question. Prince Existence or destruction, this is a question that needs to be considered. King To live? Life? Existence? For your ambition, desire and superficial reputation, you kill other people in order to live. Life is so difficult and so hard! I have no way to put you to death, but I have the ability to choose to die. To me, death is much easier. The only way I can fight against you is to die, and I can then leave you all the difficulties. I let you fall into never-ending sorrow, doubt, jealousy, depression, shame, anxiety, anger, fear, madness and despair. This is the only way that I can get revenge on my enemies. Now, I will drink the wine, tea and medicine that you have given to me. I will drink the love you have given to me. Everyone is aware that this love is the poison. Music starts. The King consumes the poison. People raise all kinds of possibilities about the cause of the King’s death. They drape the pieces of cloth, on which many questions are written, over the King’s body. Everyone starts to weep. Yu Zhong Stop! Why should the King die? Qian Zheng Why should the King not live? Yu Zhong The King should live happily like an ordinary person. Qian Zheng The King should go to the bank, withdraw a sum of money, and should take a beautiful girl with him and go somewhere really far away to lead a good life. Yu Zhong Let us love our lives. Praise our life. Music! The music starts. People start dancing. Numerous balloons fall from the ceiling. Everyone tries to grab a balloon, and all the balloons explode. People fall. Hamlet stands up from the prone bodies, and inflates a balloon. Prince	To be, or not to be. Hamlet lets the balloon rise. Black out. Clearly, there is little direct affinity between the adaptation and Shakespeare’s Hamlet beyond the phrase “To be, or not to be” that the adaptation starts from and returns to. While the scriptwriter and the director rightly acknowledge that this adaptation should not be regarded as a Shakespeare performance, the piece does provide an interesting illustration of how the imagination can be stirred by Hamlet. According to Cao Shujun and Sun Fuliang, in the early 1910s when Shakespearean adaptations based on Lin Shu’s Tales were becoming a mainstay of the wenmingxi stage, a traditional Chinese operatic version of Hamlet was put on in southwestern China by an old indigenous theater of Sichuan province: chuanju. However, there is hardly any information about the production. Shakespeare was mainly performed in the spoken drama style until the 1980s when China’s First Shakespeare Festival was being prepared. As discussed previously, for a long time many scholars, critics and even theatrical practitioners had been resolutely opposed to the idea of introducing Shakespeare—“a progressive giant of Renaissance humanism”—into the Chinese musical theater—“a degenerate product deriving from feudal China and a backward mentality.” Thus in the 1986 Festival, when practitioners bravely presented five operatic adaptations of Shakespeare (Macbeth, Othello, Much Ado, Twelfth Night and The Winter’s Tale), nobody dared to touch Hamlet which was venerated in China as “the pearl in the crown.” Subsequently, however, two operatic productions of Hamlet were staged in 1994 and 2005. All practitioners would recognize there are many practical difficulties in accommodating Shakespeare into a form of total theater centered on aria singing, dance, mime and acrobatics. An immediate question for the adapters is how to create suitable situations for arias, because singing is the most important component in the Chinese traditional theater xiqu (theater melody). Looking at the adaptations of Hamlet, the principal arias tend to be arranged at the following points: after the meeting with the ghost, the scenes between Hamlet and Ophelia, the “To be, or not to be” soliloquy, Claudius’s prayer scene, the chamber scene when Hamlet confronts his mother, and the final moments before Hamlet dies. The rule by which singing is organized in a play derives from the ancient theory of poetry: “Poetry is the expression of one’s will. When it is in one’s mind, it is the will; when it is conveyed by language, it becomes poetry. Feelings start from deep in one’s heart and take the shape of language. When speaking is not enough, people start reciting. When reciting is not adequate, people start singing. When singing is not sufficient, one starts dancing with hands and feet” (Chen Duo & Ye Changhai, 1987: 33). Hence the singing has to originate in the character’s inner emotions, although sometimes it is used to elaborate the dialogue. Arias are sung in a very different way from Western opera. Apart from the musical instruments and the use of percussion, Chinese operatic performers always accompany their arias with sequences of spectacular body movements. These movements typically exploit features of the traditional costumes such as the long-sleeved gowns and boots with high platform-soles, as well as the make-up, beards and hairpieces, and props such as fans and swords. In the 1994 yueju adaptation, the “To be, or not to be” aria involved the singer performing an intricately choreographed fan dance sequence; while the 2005 jingju version used the duel scene as an ideal opportunity to display the performers’ skills in martial arts. It can be more difficult for the traditional theater acting-style to cope with the profound questions regarding the psychological dimension and the characterization of the original play: for instance, Hamlet’s hesitation in taking action, and his meditations on life and humanity. The adapters of the yueju and jingju versions were evidently attracted to different aspects of the play, reflecting their individual personalities and experiences as Chinese artists, their theatrical backgrounds and the local forms for which they were now working. Thus each operatic production developed its own distinctive approach to the original play. But the adapters shared a belief that through their versions of Hamlet, they were helping to transfuse the “new blood” needed to revitalize the indigenous music theater. At the 1994 Shanghai International Shakespeare Festival, the yueju Hamlet was the major box-office success, running for more than a month in a theater with a capacity of 1200 seats. It was a fully sinicized adaptation transposing the original work into an entirely Chinese setting with Chinese characters. Yueju, as one of the over three hundred local operatic genres, has been popular in southeastern China for more than a hundred years. Its repertoire specializes in romance, focusing on young male and female character types, and great emphasis is placed on the quality of its music and arias since the acrobatics seen in other Chinese traditional theaters do not feature strongly in yueju. The genre is famous for its rising and falling melodies, and audiences are attracted to its varied schools of singing. 1. Encounter with the Ghost. In the early 1900s, Chinese-speaking people first encountered Hamlet in the form of a translation of Charles and Mary Lamb’s synopsis. Over the century that followed, the play rapidly became established in Chinese minds as the greatest literary masterpiece. Like people in other nations, Chinese Shakespeareans, scholars and practitioners have continually re-explored the text of this great tragedy and attempted to derive further insights that might be used either to reinforce orthodox interpretations or to challenge established doctrines. Throughout this account of the translation, interpretation and performance of Hamlet, we have seen that Chinese acceptance of Hamlet is as much a story about China as it is about this play. I thank Hong Kong University Press for granting permission to reproduce the extracts from pages 31-34, 151-160 and 211-221 of my book Shashibiya: Staging Shakespeare in China 2003. All the translations from Chinese into English are mine unless otherwise noted. 1 The twelve translators and the dates of their publications are: Tian Han, 1922; Shao Ting, 1930; Liang Shiqiu, 1938; Zhou Zhuangping, 1938; Zhou Ping, 1940; Cao Weifeng, 1944; Zhu Shenghao, 1947/ 1978; Bian Zhilin, 1956; Lin Tongji, 1983; Sun Dayu, 1988; Fang Ping 2000 & Peng Jingxi 2001. 2 Many Chinese scholars claim that the first full-length translation of a Shakespeare play was published in 1921. This is wrong. In 1921 only the first three scenes of Hamlet were published in this journal. One year later, the whole translation was published in book form in the Young China Association Series (Shaonian Zhongguo congshu). 3 From “to avenge his father’s death …” is a translation of the gist of the advertisement, because the original was written in bad and ungrammatical Chinese. 4 In order to speed up the development China’s economy, from September 1979, Deng Xiaoping gave permission to a few towns to become special economic zones. These areas enjoy more freedom in industry, agriculture, importing and exporting. Shenzhen, which is adjacent to Hong Kong, was the first such area. 5 In 1986, at China’s First Shakespeare Festival, most huaju productions followed the 1950s’ model of interpretation and presentation. But Xiong used an abstract set made of ropes in his A Midsummer Night’s Dream, which was probably inspired by Peter Brook’s production, and integrated contemporary Chinese jokes and pop songs into the performance. 6 The translation is based on the script supplied to me by Zhang Bingquan, the dramaturge of the production. 7 Xiong claimed that his original idea had been a video of the young couple together swimming in the sea. However, limited by the availability of equipment, the production used a sauna scene instead. Anikst, Aleksandr Abramovich. Shashibiya zhuan (Shekspir), translated by An Guoliang, Beijing: Zhongguo Xiju Chubanshe, 1984. Baxandall, Lee & Morawski, Stefan eds. Karl Marx/Frederick Engels on Literature and Art: a selection of writings, New York: International General, 1974. Bian Zhilin. “Guanyu wo yi de Shashibiya ‘Hamuleite’: Wu shu you xu (Re-introducing Shakespeare’s Hamlet: An Old Preface with a New Note),” Waiguo Wenxue Yanjiu (Foreign Literature Studies), 1, 1980, 38-50. —. “Shashibiya de beiju ‘Hamuleite’ (Shakespeare’s Tragedy Hamlet),” Wenyi yanjiu jikan (Literary Studies), December 1957, 79-137. Bian Zhilin, Ye Shuifu, Yuan Kejia and Chen Shen “gShinian lai de waiguo wenxue fanyi he yanjiu gongzuo (Foreign Literature Translations and Studies in the Past Ten Years),” Wenxu Pinglun (On Literature), 5, 1959, 41-77. Cao Shujun & Sun Fuliang. Shashibiya zai Zhongguo wutai shang (Shakespeare on the Chinese Stage), Ha’erbin: Ha’erbin Chubanshe, 1989. Chen Duo & Ye Changhai, ed. “Mao shi xu (Introduction to the Poetry Annotated by Mao),” originally compiled by Mao Heng in the early Han Dynasty (200–100 BC), Zhongguo lidai julun xuan zhu (Selective Works on Drama and Theatre), Changsha: Hunan Wenyi Chubanshe, 1987. Chen Guohua. “Lun Shaju chong yi (On Re-translating Shakespeare’s Plays),” Waiyu jiaoxue yu yanjiu (Teaching and Researching Foreign Languages), Issues 2 & 3, 1997. Chen Mingzheng. “Interview Notes on Cheng Mingzheng,” October 1997. Dong Run. “Shashi yuefu tan (Talks on Shakespeare’s Works),” Taiping yang (The Pacific Ocean Journal), Vol. 1 No. 5, July 1917, 1-9; Vol. 1 No. 6, August 1917, 1-10; Vol. 1 No. 8, November, 1917, 1-9; Vol. 1 No. 9, January 1918, 1-9. Engels, Frederick. “Engels to Margaret Harkness,” Karl Marx Frederick Engels Collected Works, Vol. 48, London: Lawrence & Wishart, 2001, 166-69. —. “Introduction,” Dialectics of Nature, edited & translated by Clemens Dutt, preface & notes by J.B.S. Haldane, New York: International Publishers, 1960. Gillies, John, Minami, Ryuta, Li, Ruru and Trivedi, Poonam. “Shakespeare on the Stage of Asia,” The Cambridge Companion to Shakespeare on Stage, edited by Stanley Wells and Sarah Stanton, Cambridge: Cambridge University Press, 2002, 259-283. Holland, Peter. English Shakespeares: Shakespeare on the English stage in the 1990s, Cambridge: Cambridge University Press, 1997. Jiang Tao. “Lun Zhongguo shaju wutai shang de daoyan yishu (Directing Arts of Shakespeare Performance on the Chinese Stage),” Xiju (The Drama), Issue 3, Beijing: Zhongyang Xiju Xueyuan, 105-126, 1996. Jiao Juyin “Guanyu Hamuleite (About Hamlet),” Jiao Juyin wenji (Selected Works of Jiao Juyin), 4 Vols., Vol. 2, Beijing: Zhongguo Xiju Chubanshe, 167-168, 1988. Li Guoxiu. Shamuleite [Shamlet], Taipei: Shulin Chuban Youxian Gongsi, 1992. Li Ruru. Shashibiya: Staging Shakespeare in China, Hong Kong: Hong Kong University Press, 2003. Liang Qichao. “Xin min shuo (My Idea of the New Citizens),” Yinbingshi quanji (The Completed Works of the Yinbing Chamber), Taipei: Wenhua Tushu Gongsi, 1-140, 1973. Liang Shiqiu. “Hamuleite wenti (The Problems of Hamlet),” Wenyi yukan (Literature Monthly), Vol. 5 No. 1, 1934. —. “Wenxue piping bian (On Literary Criticism),” Liang Shiqiu lun wenxue (Liang Shiqiu’s Concepts of Literature), Taiwan: Shibao Wenhua Chuban Shiye Youxian Gongsi, 1978, 101-108. —. Luetan Zhongxi wenhua (Brief Talk on Wesern and Chinese Culture), Taiwan: Yuandong Shuju, 1971. Lin Shu. Yin bian yan yu (Reciting from Afar on Joyous Occasions), based on Tales from Shakespeare, Shanghai: Shangwu Yinshuguan, 1904. Lin Zhaohua. “Daoyan de hua (The Director’s Words),” in Hamuleite shuomingshu (Program Notes for Hamlet), 1994. Lu Gu-sun. “Hamlet Across Space and Time,” in Shakespeare Survey, 36, 1988. Lu Xun. Lu Xun quanji [The Completed Works of Lu Xun], 16 vols., Vol. 1, Beijing: Renmin Wenxue Chubanshe, 1981. Lu Xun. “‘Ying yi’ yu ‘wenxue de jiejixing’ (‘Arbitrary Translation’ and ‘The Nature of Class in Literature’),” Lu Xun yu Liang Shiqiu lunzhan wenxuan (Selected Works of the Debate between Lu Xun and Liang Shiqiu), edited by Bi Hua, Hong Kong: Tiandi Tushu Youxian Gongsi, 1979. Luo Zhiye. “Helping Chinese Students Study Hamlet,” Approaches to Teaching Shakespeare’s Hamlet, edited by Bernice W. Kliman, New York: The Modern Language Association of America, 2001. Mao Zedong. “Xin minzhu zhuyi lun (On the New Democracy),” Mao Zhuxi Yulu (Quotations from Chairman Mao), Beijing: Zhongguo Renmin Jiefangjun Zong Zhengzhibu, 1969. Meng Xianqiang. Zhongguo shaxue jianshi (The Concise History of Shakespeare Studies in China), Changchun: Dongbei Shifan Daxue Chubanshe, 1994. —. Zhongguo Shashibiya pinglun (Shakespearean Criticism in China), Changchun: Jilin Jiaoyu Chubanshe, 1991. Minguo ri bao (The Republican Daily) 11 March 1916. Sun Dayu trans. Hanmolaide, Chinese version of Hamlet, Shanghai: Yiwen Chubanshe, 1988. Tian Han trans., Hamengleite, Chinese version of Hamlet, Beijing: Zhonghua Shuju, 1922. —. “Translation of three scenes of Hamlet” in The Journal of the Young China Association (Shaonian Zhongguo) Vol. 2, Issue 12, 1921. —. “ ‘Guanyu Hamengleite’ yu ‘Dao minjian qu’ (About Hamlet and Among the Masses),” Tian Han quanji (The Complete Works of Tian Han), 20 Vols, Vol. 16, Shijiazhaung: Huashan Wenyi Chubanshe, 2000. Wang Shouyue. “Xinju shi xu (Introduction to the History of the New Drama),” Xinju shi (The History of New Drama) by Zhu Shuangyun, Shanghai: Xinju Xiaoshuo She, 1-2, 1914. Wei Ming (also known as Mao Dun). “Shashibiya yu xianshi zhuyi (Shakespeare and Realism),” Wenshi (Literature and History), Vol. 1, edited by Wu Chengshi, Beiping: Zhongguo Xueyuan Chubanke, 81-83, 1934. Xiong Yuanwei. Hamuleite, Hamuleite shuomingshu (Program Notes for Hamlet, Hamlet), Hong Kong, 2000. Xiong Yuanwei. “Women zhe yi dai de xuanze (The Choice of Our Generation),” Lin Zhaohua daoyan yishu (The Art of Lin Zhaohua’s Directing), edited by Lin Kehuan, Harbing: Beifang Wenyi Chubanshe, 1991. Xu Banmei. Huaju chuangshiqi huiyilu (Reminiscences of Spoken Drama in Its Initial Period), Beijing: Zhongguo Xiju Chubanshe, 1957. Xu Shulun. “Qingchu Shashibiya jieshao zhong de zichanjieji sixiang (Eliminate Bourgeois Thoughts in the Introduction of Shakespeare),” Xiju bao (The Drama Bulletin), Issue 4, 1955, 44-45. Zeng Jize. Shixi riji (Diary of a Diplomatic Mission in the Occident), edited by Zhang Xuanhao, Changsha: Hunan Renmin Chubanshe, 1981. Zhang Junchuan. “Hamuleite de neizai maodun (The Internal Conflicts of Hamlet),” Shashibiya yanjiu (Shakespeare Studies), No. 4, Hangzhou: Zhejiang Wenyi Chubanshe, 1994, 147-69. Zhu Hong. “Xifang guanyu Hamuleite dianxing de yixie pinlun (Western Commentaries on Typical Character of Hamlet),” Wenxue Pinglun (On Literature), 4, 1963, 111-24. Zhu Shenghao (trans.). Hamuleite (Chinese version of Hamlet), Shahibiya Quanji (The Complete Works of Shakespeare), Vols. 11, Vol. 8, Beijing: Renmin Wenxue Chubanshe, 1984. Please visit my translation of Hamlet located at http://hamletchinese.blogspot.com/ Thanks.